Apple acquired a small AI-focused messaging startup Init.ai earlier this week. This is just the latest in a string of recent acquisitions for Apple that have all been related to AI or machine learning. Last week saw Apple purchase the French computer vision company Regaind. Earlier in the year Apple also purchased SensoMotoric Instruments and Lattice. All of these companies are very different, covering several aspects of AI or machine learning. 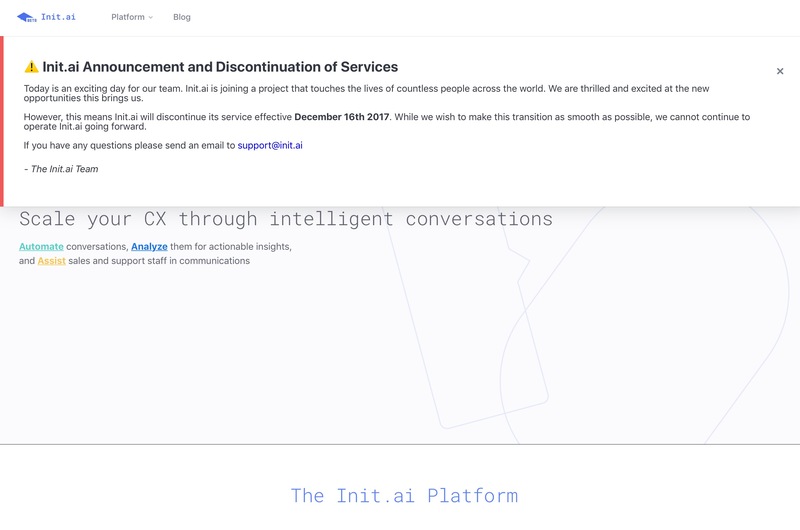 Init.ai focused on analyzing and automating messaging between companies and their customers. Regind specialized in analyzing photos for details, as well as technical quality. SensoMotoric Instruments developed eye-tracking and motion detection technologies for use in augmented or virtual reality glasses. Lattice worked in the search and analysis of “dark” or unstructured data. Why did these companies appeal to Apple? SensoMotoric Technologies seems like the most obvious, especially if Apple is developing a pair of AR-focused glasses. They have IP that I’m sure Apple saw as valuable to those kinds of efforts. However, for the rest of the companies, these look more like aqui-hires, where bringing in the talent involved in the particular company’s business is the ultimate goal. The most interesting thing about the latest move to bring in the small team at Init.ai (there are only six people currently part of this startup) is that their core business seems to be further outside of Apple’s typical area of focus. However, while they were enterprise messaging-focused, the technology of analyzing and automating messaging could have a lot of applications with Siri. We have already seen Apple patents showing their work in having Siri respond to text queries and questions in iMessage. We also got the new Text-To -Siri feature in iOS 11’s Accessibility settings this year. 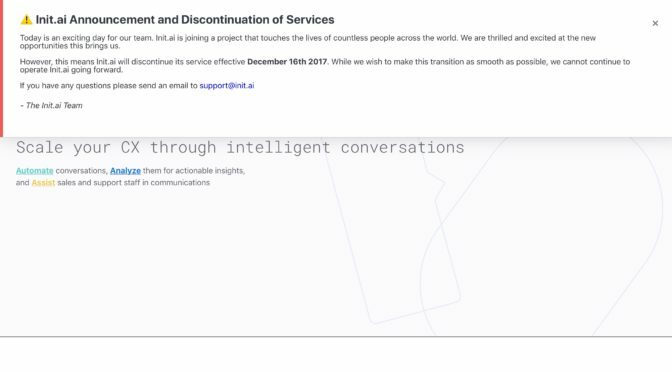 The employees involved with Init.ai seem like a good fit to expand the possibilities of Siri beyond what it can currently handle. We all know Apple is still behind when it comes to AI. However, they finally aren’t just paying lip service anymore. They are now legitimately invested in getting caught up in this field and making AI and machine learning integral parts of their products and operating systems going forward. These acquisitions and the new talent that comes with them are vital parts of that effort to close the gap with companies like Google, Facebook, and Microsoft. Despite the fact that none of these companies are massive, the fact that Apple has made four of these acquisitions in half a year is important. It looks like Tim Cook and his executive team have decided to put their profits to use, and are scouting talent to bring in based on successfully getting startups off the ground and proving the worth of their concepts and ideas (at least to investors). I, for one, am very happy to see Apple pursuing the AI and machine learning space aggressively now, and literally putting their money where their mouth is. What do you think of Apple’s recent string of AI and machine learning acquisitions? Do they convince you that Apple is getting serious about Siri and catching up in these fields, or do you not yet trust Apple to make the right changes and additions to close the gap on their competitors in these categories? Let me know in the Comments section below, on Flipboard, on our Facebook page, or on Twitter @iPadInsightBlog.